I met Ellie in sixth form. My trauma had ended just months earlier and so I had decided to go to a different school to sit my A Levels. I chose English Language, Philosophy and Ethics, History and Law. Ellie was in my History and Philosophy classes. I remember walking into class once and the only seat near my friends was next to Ellie. And out friendship grew from there. We used to have a right giggle in Philosophy because there was literally only myself, Ellie and a boy. We had an awesome teacher too who let Ellie and I indulge in our giggles. I remember going to Asda on break or lunch time and Ellie found a massive watermelon which she named Melvin and drew a face on, before taking it back into class and asking that it be given it's own seat. That's the kind of girl Ellie is! 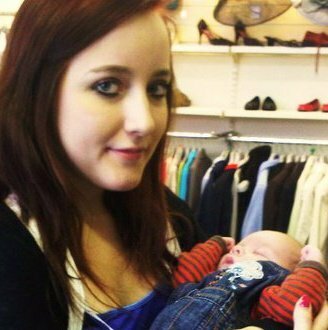 I was volunteering in Oxfam when Ellie brought in her first child; Jonas. 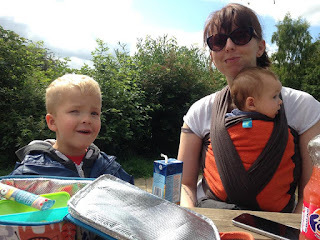 His early life and Ellie's amazing mothering skills reminded me of my own Mum and my early life. My Mum battled with Doctors for myself to be diagnosed with asthma. She knew that's what it was but Doctors kept palming her off with anti-biotics. I finally got diagnosed with asthma. With Jonas, one of his eye's was different to the other and medical staff kept telling Ellie that she was over-reacting, being a worried new Mum. She fought for her son. And he was diagnosed. I'm not going to pretend I know the name or have a proper explanation but I know that his eye hadn't developed properly in the womb and he now has an artificial eye. But he is the funniest kid I have ever met. Some of the stuff he comes out with is just proof that he really is Ellie's son! And then Emmy came along! Emmy is the cutest thing on my Facebook feed! At the time of writing, she's five months old. I've always stressed out when I'd hold babies and especially if they'd start crying while I was holding them, but not with Emmy. It feels natural to hold her. 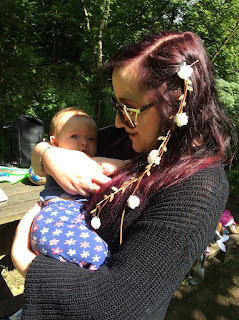 I love spending time with the little family, it was such a lovely day out when we went to the local Woods Country Park. And it was an honour that Ellie trusted me to look after each of children by myself. I've spent years not being trusted to do anything and something as significant as this, is overwhelming. 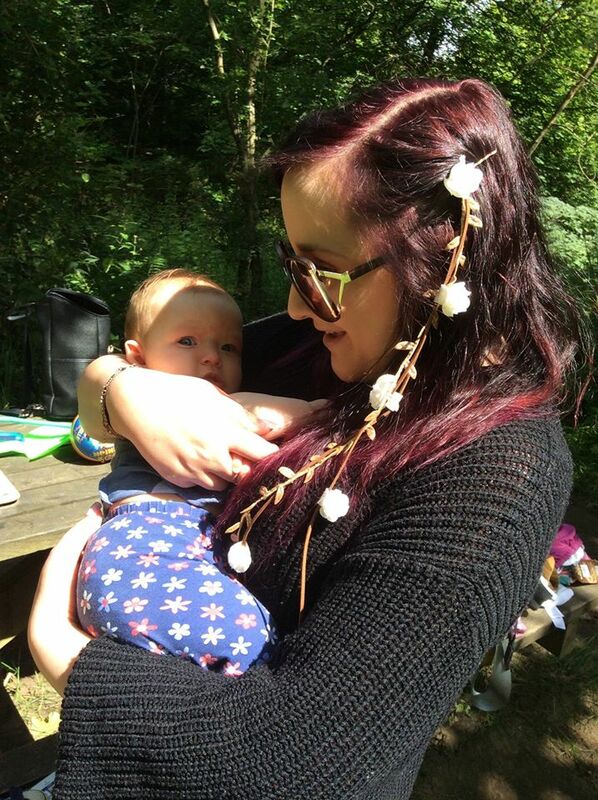 That trip out made me see what an amazing Mum Ellie is! She's very good at looking after her children and disciplining at the same time. Usually, five year olds (Jonas's age) are shy and hide from strangers but Jonas is friendly and polite. And when Ellie teaches him he has done something wrong, he learns from it. And even with having children lovely children, Ellie makes time for me. She cares what's happening and she asks questions to help her to support me. These guys are one of my favourite little family's.